In mid-19th century the painter Johann Baptist Schraudolph received an order for painting the inside of the cathedral. He belonged to the so-called Nazarenes, who related themselves to Renaissance artists and did mostly religious motives. The art world moved on into a different direction, and the old-fashioned style of painting became more and more the object of ridicule, until the frescos where removed end of the 1950s, with the exception of the cyclus of the Virgin Mary, which still can be seen in the central nave underneath the clerestory windows. 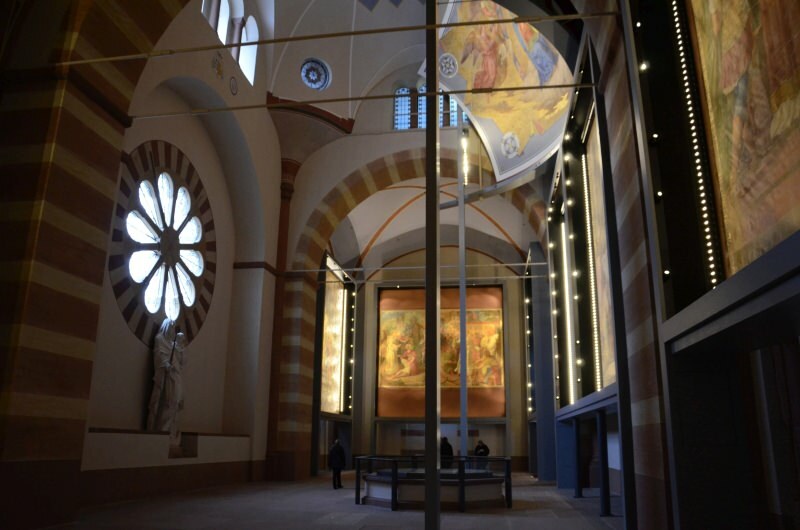 Some of the removed frescos can now be seen again, after over 50 years, in the new exhibition at the Kaisersaal.